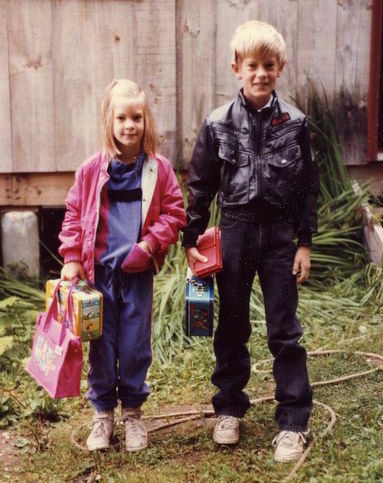 This time of year is full of snapshots of kids on their way to the first day of school. These images give us a picture of a specific moment in time, much like the once-a-year state assessments in literacy and math. What you can’t tell from these snapshots, either of the pictures of the kids or of the yearly test scores, is if kids are learning and growing. From looking at a single snapshot, we can’t tell if the kids have changed from the year before. Certain parents can use the once a year snapshots to document change over time. By keeping all other elements of the photo consistent (the same pose, by the same tree, on the same morning) you can see the change that has taken place. This is impressive! If you have moved during the 13 years, however, there is no “Same spot on the driveway”. This is essentially the situation we are in with Arkansas assessment. We are taking snapshots at three different houses: Benchmark in 2013-14, PARCC in 2014-15 and ACT Aspire in 2015-16. Plus- we haven’t even gotten the snapshots (PARCC data) back from last year. With so much change, we recommend schools use other assessments so they can consistently measure student learning. One thing to consider when looking at the 13 years of pictures above: Can you tell HOW MUCH the student has actually grown? Can you tell if he is growing faster or slower than his peers? Can you tell if he is taller or shorter than other boys his age? Here at the OEP, we think kids, parents and policymakers want more than snapshots lined up side by side. We want to know how much kids are learning in school. We want to know if they are learning enough, and if they have the skills necessary to be successful after high school. Start early: You can’t miss those early years when they are changing so much. Just like you wouldn’t want to miss the first day pictures for kids as they enter Kindergarten, first and second grade, you don’t want to miss the opportunity to measure student learning in those early grades. Currently Arkansas doesn’t have a summative assessment in Kindergarten. This is the last year for ITBS, current 1st and 2nd grade summative assessment. During these critical early learning years, districts need to take the initiate and ensure they are gathering quality information on early student learning and growth. First day and last day: Kids can change a lot over the summer. Assessments that measure growth from the beginning of the school year to the end of the school year really show you how much kids are learning at school. Just like taking pictures on the first day and last day of school, kids take the same assessment at least at the beginning and end of the year. Make it unique: Kids are all different, so they shouldn’t all be asked the same questions! Assessments that adapt questions to individual student responses (computer adaptive assessments) help give detailed information about all kids. Put it in context: My kid may seem tall to me, but how do they compare with other kids? Assessments should allow for comparisons to other students around the country. Is my student better at math than other kids his age? Is he behind in reading? Is he growing his knowledge more or less in a year than his peers? Eye on the prize: Every year is a critical step as students progress toward their future. Districts need to use assessments that show if students are on track for success in college and careers. Keep it simple: Like the first day pictures, assessment information needs to be understandable to everyone- even grandma. Nearly half of the schools districts in Arkansas have this kind of information for their students because they use NWEA MAP as interim assessments for their students. NWEA MAP is a K-12 computer-adaptive assessment that measures student growth throughout the school year. MAP’s long history allows it to make reliable predictions of readiness for college and careers and to compare student performance and growth with other students across the country. As Arkansas moves to a new assessment for the once a year snapshot, however, some districts may be considering moving to new interim assessments as well. We urge you to consider the change carefully. Is it going to give you the information your teachers, parents and students need? Or is it going to be just another snapshot? If your district is using an assessment that provides high quality information on student learning and growth- we recommend you keep using it! Parents and students are depending on you to teach them, and it is important that you continue to vigilantly track every student’s growth and performance. If you feel like you could be getting more out of your data- OEP can help! Just drop us a line- we are happy to help!